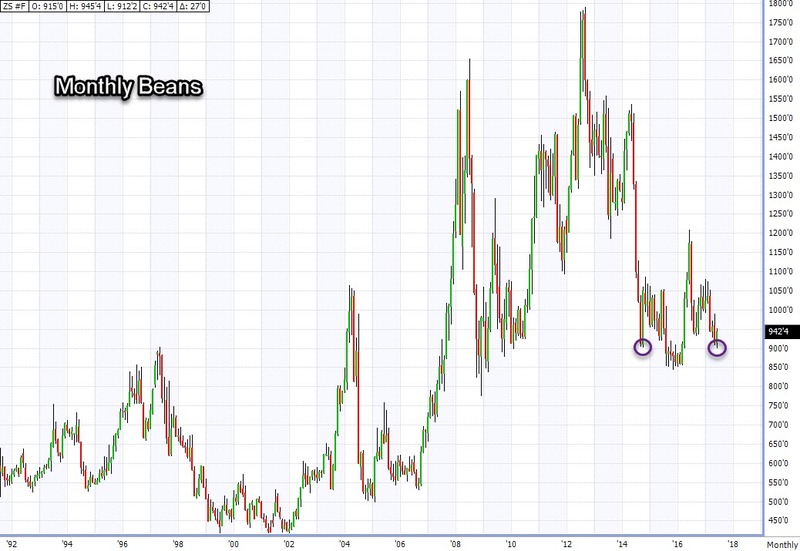 End of the week, end of the quarter, end of the half…MAYBE the end of the bear grain market from 2014 -2016??? Tough call, way too early to tell but we are seeing some fantastic price action in both Ag and financial markets to support the belief something is changing. The wheat will get the headlines. 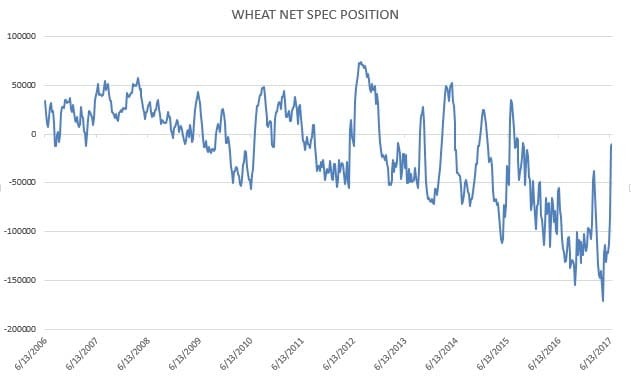 Spring wheat acreage came in below expectations amidst the disaster of a growing season. Overall wheat acreage shrunk from March and that was one of the smallest in history. 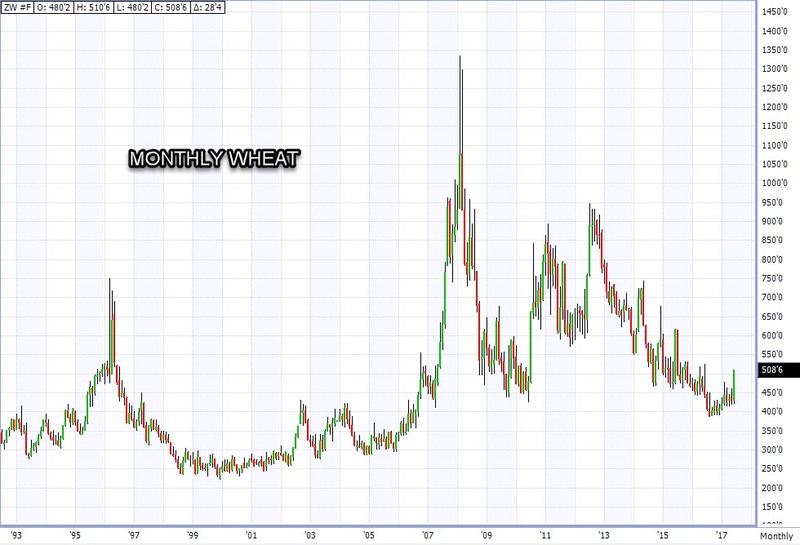 We are in the midst of the smallest wheat crop since 1919. The grain stocks is another story though. Current grain stocks came in above expectations near 1.2 billion bushels. That is one hell of a savings account to help make it through tough years and shouldn’t require much in the way of an acreage push next year (except HRS). 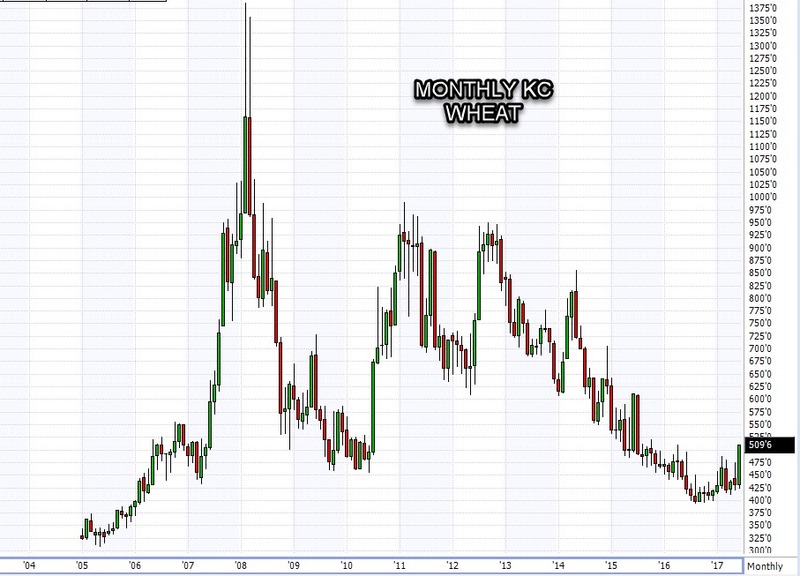 I think the move in KC wheat has more in it, but if we get July above 6.00 (it sits at 5.65) then expect more wheat acres next year. Corn bulls had little to hang their hat on even with good price action post report. 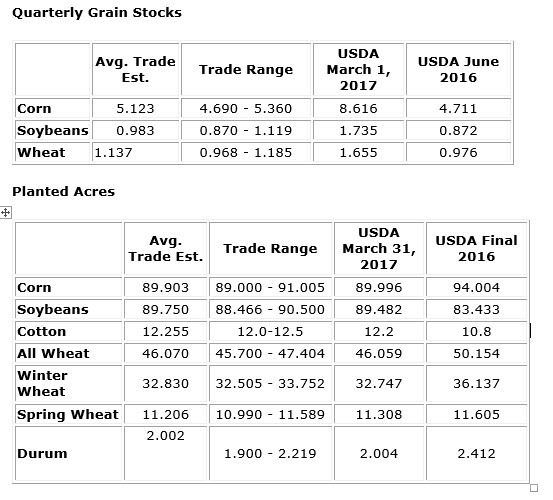 Acreage was higher as was grain stocks. WASDE in a couple of weeks should show a bloated world balance sheet. Still we rally, as corn is a function of weather and wheat prices right now. I think 420 Dec is definitely in the cards, but anyone pushing prices higher than 450 are betting on a weather hurting yields massively in the coming weeks, it won’t happen organically. Soybean bulls are the winners of the day in my opinion as volatility in that market awoke after the smaller than expected grain stocks number. Bears have been insistent on smaller domestic usage but the stocks refuted that. Disappearance of stocks between March and May was 775 million, up almost 20% from the year prior. Demand is strong and the funds are short, Yes acreage is higher which is bearish, but over the short term let the weather be your guide. Watch out if we get any semblance of a weather problem, we could be at 10.50 in a NY minute. If you bought calls on my rec earlier in the week, “good on ya”. 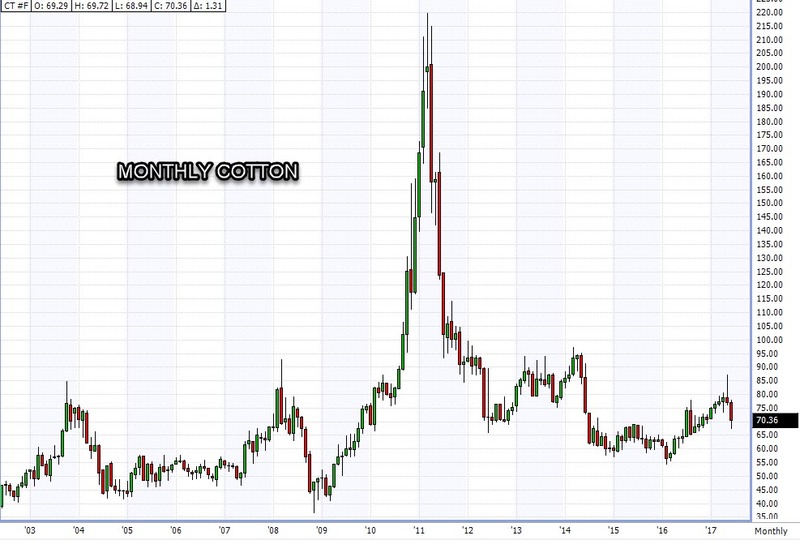 Cotton had good enough news to break its recent down streak over the last month. I was thinking we would see a slight jump in acreage from 12.2 to closer to 12.5, but we saw the opposite. Acreage fell to just slightly, but that was enough to get the market covering shorts to end the Q. I am still not convinced we don’t see 66 one more time, but for now the Texas conditions will dictate and the trend for ratings in the Lone Star state is down. 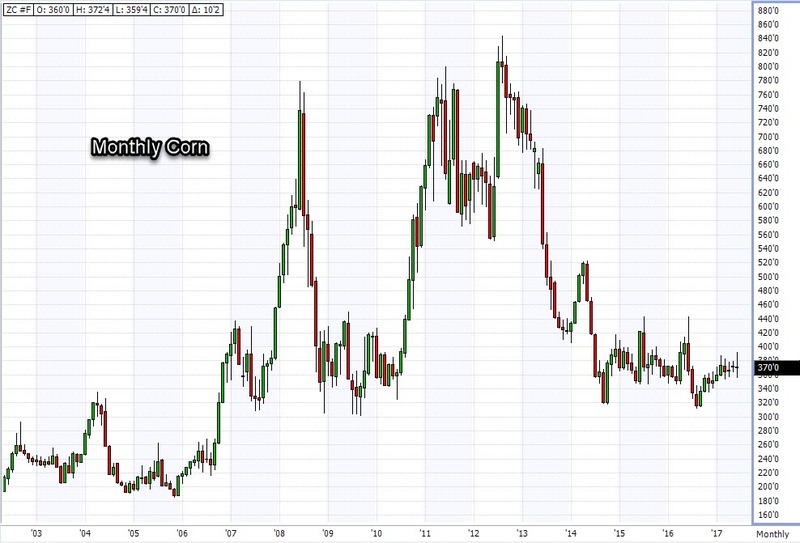 Below are monthly continuous charts for corn, beans, wheat and cotton along with COT updates from today. 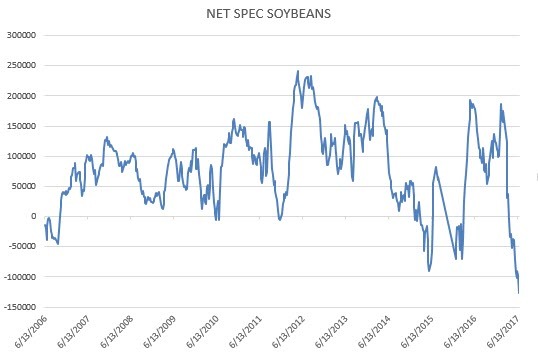 God bless anyone who is short soybeans right now, COT as of Tuesday had speculators record short. 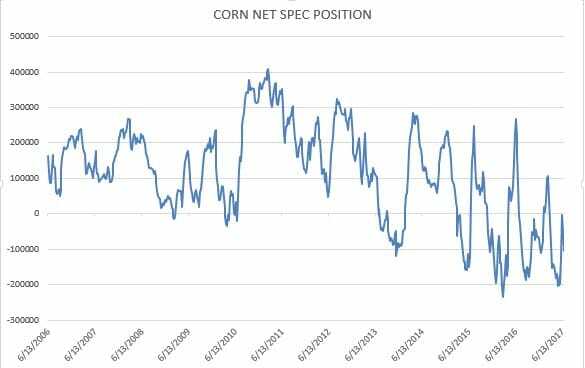 Corn remains really short as well (100 k+ contracts) after being almost even a couple of weeks ago. 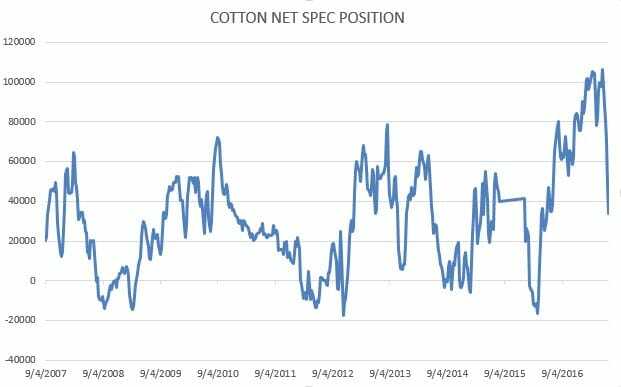 Wheat is probably now net long while cotton specs are at their shortest level in a year. Markets are open on Monday, but will close early. We will then remain closed through Tuesday and reopen Wednesday morning. Until then, have a great weekend.